The medical weight loss programs offered by East Bay Spine and Sports provide the benefit of faster results than dieting and exercise alone. 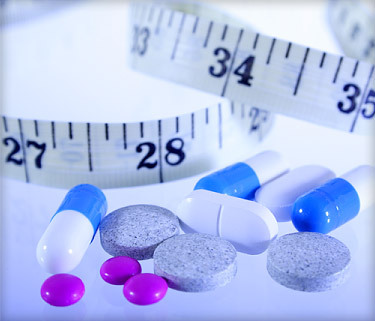 Our programs feature amino acid and Vitamin B12 shots for increased energy and metabolism, the latest in pharmaceutical weight loss options, alternative treatments such as acupuncture, as well as behavioral counseling and support. Our hCG weight loss program features the human chorionic gonadotropin hormone to provide enhanced weight loss results. This Program offers 40 days of hCG injections, 12 weeks of vitamin B12 injection, optional appetite suppressants, weekly office visit, and ongoing counseling & support. Our special occasion weight loss program is designed to help you lose weight quickly as you prepare for an upcoming event, whether it is a family reunion, a beach vacation, a friend’s wedding or your own wedding. This Program offers 23days hCG injections, weekly office visit, and support/counseling. This program targets approximately 12-20 pounds of weight loss. This program does not involve hCG, but does involve prescription appetite suppressants as well as weekly visits that include Vitamin B12 injections.